WhistleWatch is effective for asthma, allergies, or any respiratory problems in children. The PuffMinder� WhistleWatch� is a Hand Held Peak Flow Meter for Children. It can be used everywhere � at school or at home �� even over the phone! One in 10 children in the United States has asthma, and nearly 4 million have had an asthma attack in the past year. If your patient can make it BLOW, then they are �GOOD to GO". WhistleWatch� acts as an early warning system helping to either prevent an attack and possible emergency room visit or indicate if medication isn�t working. PuffMinder WhistleWatch Hand Held Peak Flow Meter is for Children. WhistleWatch compact and portable, so it can go anywhere you go to school or at home. Improve Asthma compliance. Unique, ergonomic design makes WhistleWatch easy to use and readily accepted by children. Medical Info: How does the PuffMinder WhistleWatch Peak Flow Meter work? A: The Whistle Watch is a peak flow meter that has been designed to enable asthmatic children to check their respiratory status. 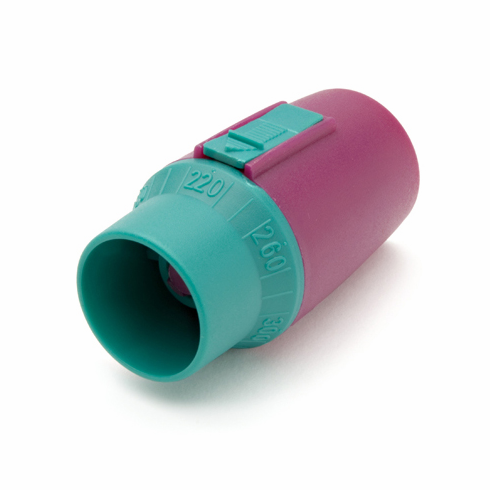 When set to 80% of the patients best PEFR (Peak Efficiency Flow Rate) by a doctor or clinician, the whistle (device sounds) will be activated when the PEFR is reached. The PuffMinder WhistleWatch is affordable and once set by a clinician, requires no special training to understand or use. Children are old enough to use WhistleWatch as soon as they can make it "whistle". It can measure a peak flow rate of 130 (80% of 160) - 340 (80% of 427) liters per minute absolute.